Dr. Robert Roy "Bob" Piper was born on Nov. 23, 1931 in Oaklyn, New Jersey. Growing up in Princeton, New Jersey, Piper attended Lawrenceville High School and then went on to the Massachusetts Institute of Technology (MIT) for a Bachelor of Science and Master of Science in Aeronautical Engineering. He joined AHS in 1953 and graduated the following year and moved to Virginia, where he was an engineer at the US Army Transportation Research Command, and then at the Army’s Aviation Materiel Laboratories, both at Fort Eustis, Virginia. Piper published a paper at Forum 20 in 1964 on “European Helicopter Developments” and “A Note on Estimating Acceleration and Deceleration Capability of Rotary Wing Aircraft” in the Journal of the AHS in July 1965. Piper later left and continued his quest for further education by attending Stanford University, where he obtained his MBA in 1969 followed by a Doctorate in Philosophy in 1971. He was actively involved in the development of public transportation systems in both Canada (Vancouver and Edmonton) and the San Francisco Bay area, including the involvement in the formative years of the Bay Area Rapid Transit (BART). During 1976–78, Piper was the Director of Transportation for the city of Berkeley, the community in which he lived for many years. Piper maintained his AHS membership through the years and in 2004 returned to the 60th Annual Forum with the historical paper “Aerial Jeep Retrospective,” summarizing the work he was involved with in the 1950s and early 1960s. 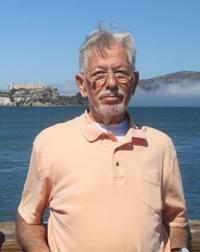 Dr. Robert Roy “Bob” Piper passed away on March 5 in Berkeley, California, at the age of 86.